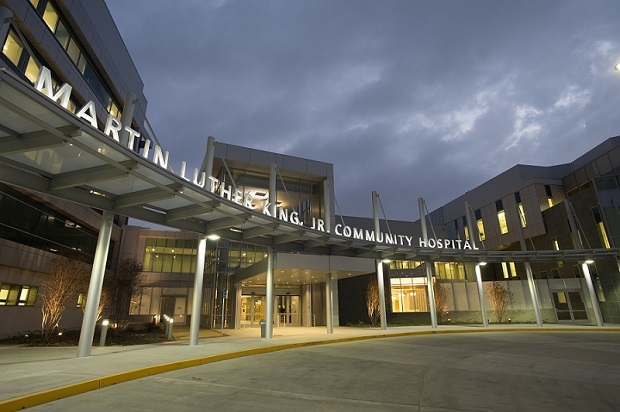 In yet another milestone, the nonprofit Martin Luther King – Los Angeles Healthcare Corporation (MLK-LA) has signed a 40-year lease with Los Angeles County to run and operate the new Martin Luther King, Jr. Community Hospital. With the lease signed and a more than $170 million-commitment from the County, the hospital, which will be privately run by the non-profit MLK LA Board, will accelerate the pace of acquiring new equipment and hiring doctors, nurses, technicians and other staff. A few months ago, construction of the new $285 million-hospital was completed by the County, and next month the adjacent $172 million-Outpatient Center will open its doors to the public. In addition, a new Psychiatric Urgent Care Center for those seeking mental health services is expected open on the MLK campus in the fall. The hospital, outpatient center, and Psychiatric Urgent Care Center are part of a revitalized wellness network intended to provide residents of the surrounding communities with preventive care services to improve their overall health and avoid hospital visits.